MOORESVILLE, N.C. (Sept. 13, 2017) – Dalton Sargeant and Cunningham Motorsports are proud to announce the extension of a successful partnership with Performance Plus Motor Oil for the upcoming race at Chicagoland Speedway. This will once again include the branding of the No. 77 Performance Plus Motor Oil Ford Fusion for the SCOTT 150 as well as continued use of Performance Plus, the high-quality motor oil brand of Kleen Performance Products, in every vehicle at Cunningham Motorsports. The announcements comes after Sargeant took his No. 77 Performance Plus Motor Oil Ford Fusion to victory lane at Iowa Speedway in the first race of their new partnership. With the high demands of auto racing, race teams depend on oil and lubricants to keep their cars and transport equipment going strong. This is why Cunningham Motorsports has been utilizing Performance Plus Lubricants for their race cars’ most demanding components. "We’re very excited once again to partner with Dalton Sargeant and Cunningham Motorsports at Chicagoland Speedway,” said Director of Industrial Lubricants James Drozdowski. 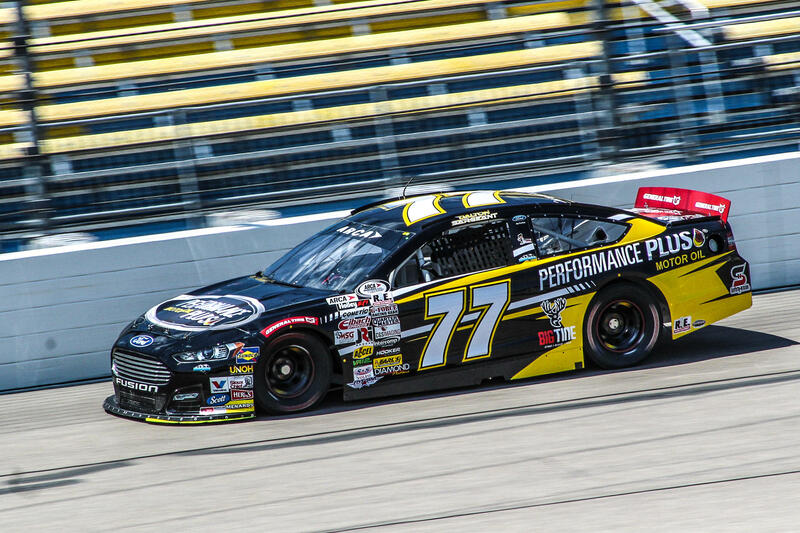 “When Dalton took the Performance Plus car to victory lane at Iowa Speedway we proved that our products can be trusted in the most demanding environments. Cunningham Motorsports began to use our high-quality oil and has seen improved performance as well as decreased wear and tear on their most critical components throughout the scorching summer months. We’re looking forward to Chicagoland and have high hopes for Dalton and the entire Cunningham team. In Sargeant’s first attempt at Chicagoland Speedway last season, the then 18-year-old battled alongside the leaders and came away with a top-five finish in his mile and half-track debut. With the final stretch of the 2017 ARCA Racing Series presented by Menards season already underway, Sargeant heads to Chicago with three wins and the defending race-winning team on his side. The SCOTT 150 from Chicagoland Speedway takes place Thursday, Sept. 14, with practice starting at 1:00 p.m. followed by General Tire Pole Qualifying at 4:35. Race time is set for 7:00 and will air live on FS1. All times are local (Central).